Tim Krahmer Unless they are a Muslim doing the same thing and then they call you an Islamic terrorist. What about the Christian terrorists under the white sheets? That, by the way, is called selective racism. If you’ve noticed the influx of negative right wing comments at the top of posts in your new I’ve never seen satan and my trainer in a room at the same time just saying shirt. 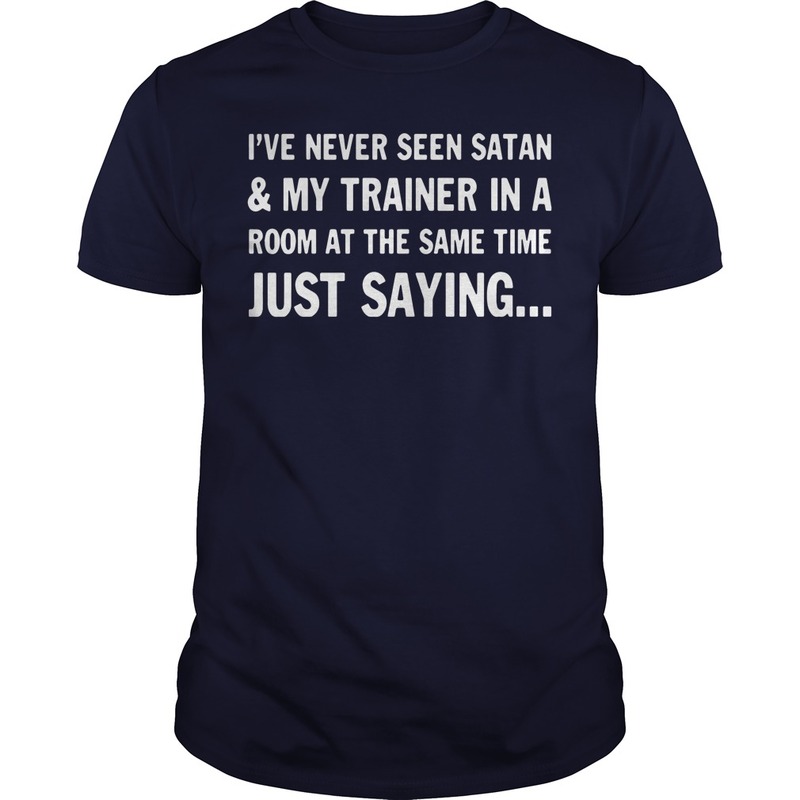 Facebook changed its algorithm so the comments with the I’ve never seen satan and my trainer in a room at the same time just saying shirt instead of the most likes sit at the top. This new Facebook policy is feeding the trolls. There are a couple things we can do to help. 1. People need to quit responding to the trolls, then they won’t get the top comment spot in a thread. They won’t get the attention and responses they are craving. 2. DO respond in the comments section of posts you agree with, even if it is just one word. As long as the pertinent posts are receiving more comments than the troll posts, then the troll posts will be relegated to the I’ve never seen satan and my trainer in a room at the same time just saying shirt, where they belong. So, don’t feed the trolls!